St Joseph State Park has over 10 miles of perfect beach coastline. The sand is a beautiful sugar white. The water is pristine blue. Even the skyline is wonderful because it isn't spoiled by high-rise buildings. Visitors to the park can enjoy this wealth of nature in many ways. You can kayak or canoe in the calm waters on the bay side of the park. 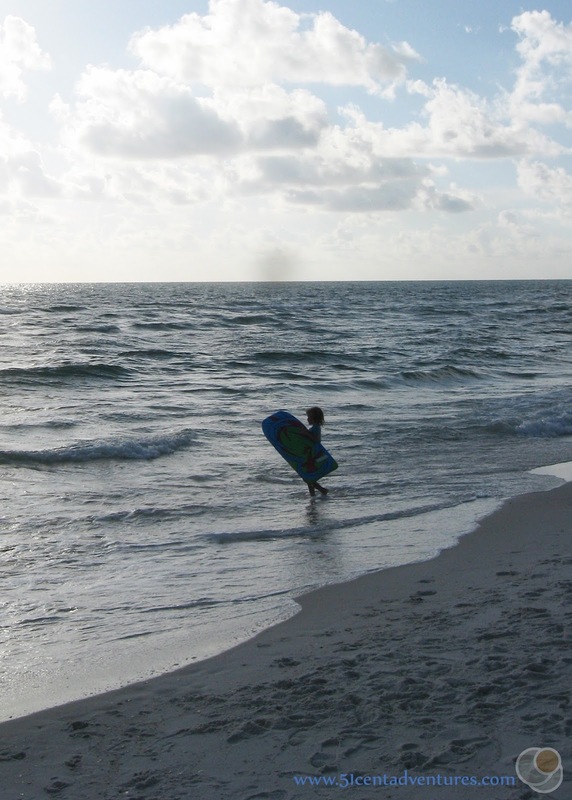 You can swim, snorkel, or scuba dive in the waves of the ocean side. 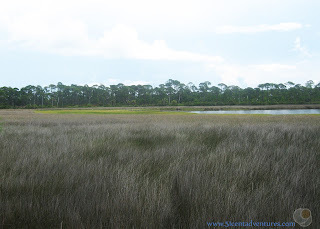 If you want to stay on land the park has several hiking trails. 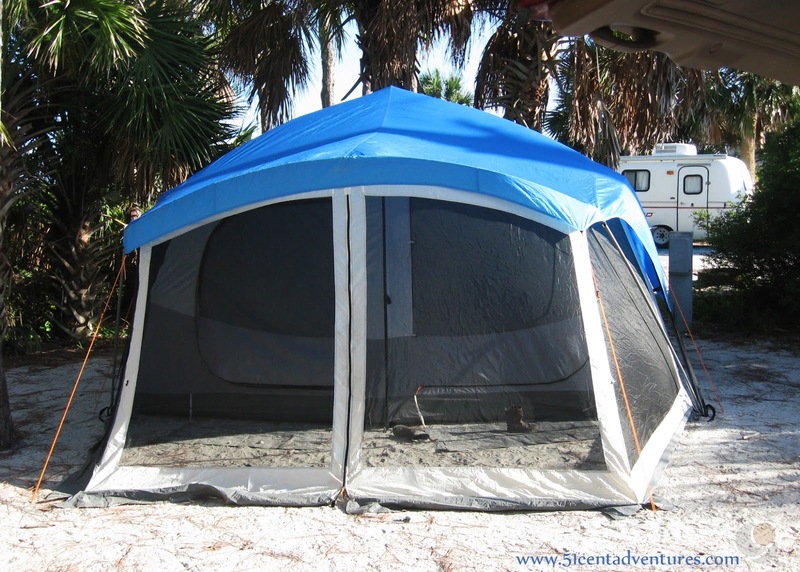 Campgrounds are available for campers whether they want to stay in a tent or an RV. Cabins are available for visitors requiring more comfort. If you are truly adventurous, you can hike or kayak to the back country campgrounds located at the very northern end of the park. Cost: Admission to the park is only $6 per vehicle. Boat launching costs $5. Camping is $24 a night plus a reservation fee of $6.70. Cabins are $100 per night. Back country camping costs $5 per person. Operating Seasons and Hours: Open every day of the year from 8:00 am to sunset. "Paradise exists and I found it!" That's how I felt when my family and I walked onto the sugar white sand on the shore of the Gulf of Mexico at St Joseph State Park in Florida. 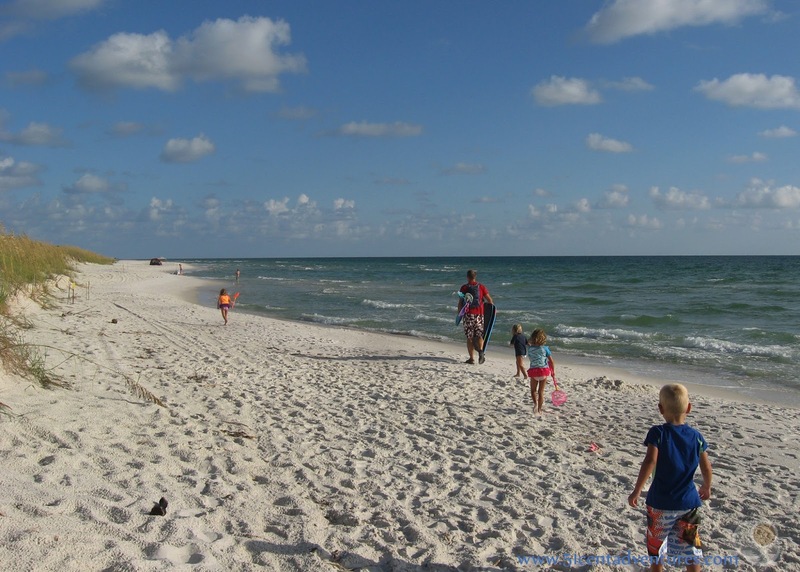 For the past several years I've been on an unofficial quest to find the best beach along the Gulf of Mexico. 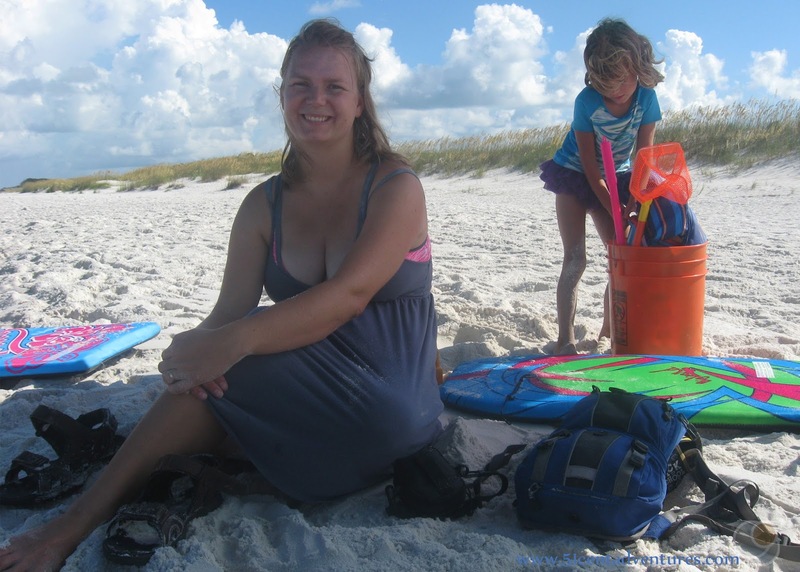 This quest started in November of 2014 at South Padre Island on the southern tip of Texas. The search extended to Mustang Island and Goose Island near Corpus Christi, followed by Galveston Island. Each of those beaches had wonderful things about them, but they didn't make me feel like I'd discovered a long lost paradise. 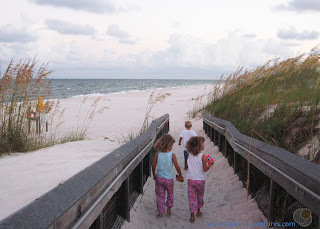 When we moved to Alabama my quest continued with several trips to Panama City Beach, Florida. These included a great camping trip to St Andrews State Park. 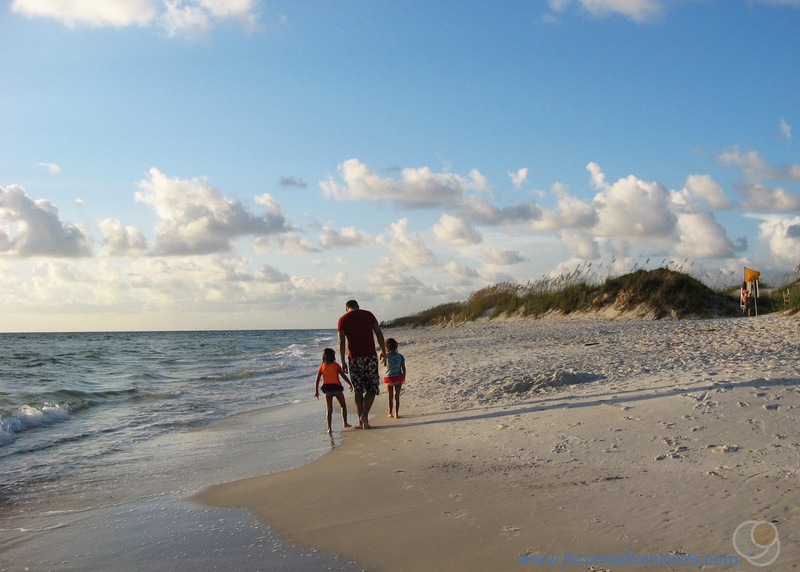 I also checked out Eglin Beach near Destin. 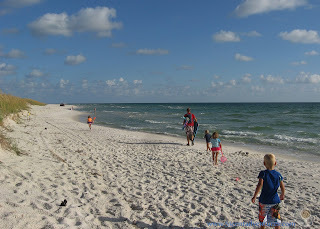 I even took my family all the way to Gulf State Park to see if there was anything extra special about the Alabama section of the Gulf of Mexico. Every place we visited was beautiful, but that paradise feel was still missing. 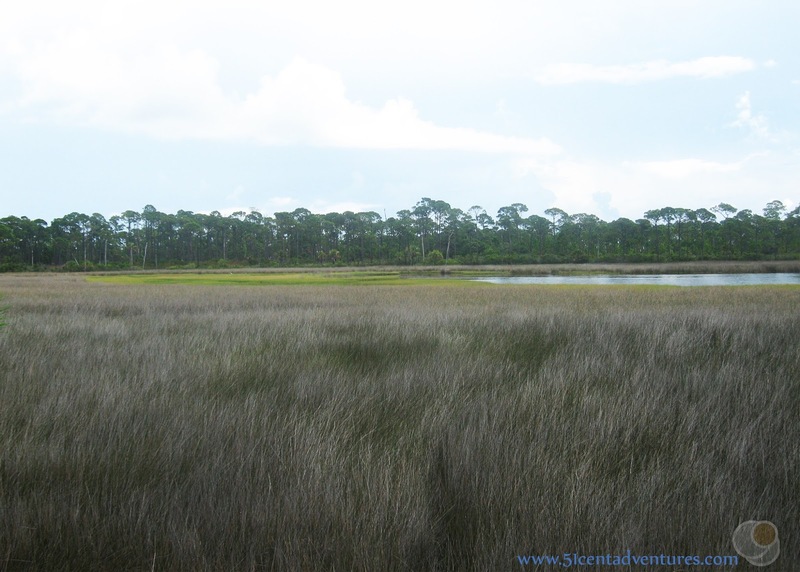 I considered a trip back to the Destin area to check out the highly rated Greyton State Park. But before I could put that plan into action I heard rave reviews about St Joseph State Park from someone who had lived in the area for a few months. He told me that St Joseph State Park was the best beach in Florida. Based on that friend's positive opinion of the park I hurried and booked a campsite for the last weekend in July. I knew it would be hot, but I figured if this place could win me over during the hot summer months than it really must be something special. Before we talk too much about the park I have to show you where the park is located. It's location is part of what makes it so great. It is located on a small hook shaped peninsula sticking off of a section of the Florida panhandle. The state park is located at the very tip of the peninsula which means its almost completely surrounded by water. The park is 10 miles long but not even a mile wide at it's thickest points. This means you are never far from the water. My family drove down to St Joseph State Park from Fort Rucker. 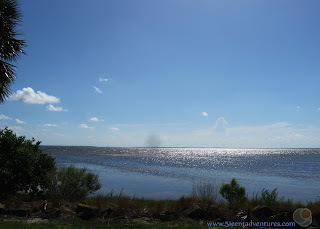 We arrived at Port St Joe on the mainland. Along the horizon we could faintly make out the trees and land of the peninsula. I was surprised at how rural everything seemed. I'd been expected Port St Joe to be full of the high-rise hotels and beach souvenir stores that you find at every other beach town along the coast. But there were no tall buildings in site. There were many, many expensive beach front homes and resorts, but none of them were taller than 3 stories high. We drove south to the place where the peninsula joins the mainland, and then drove north again on the peninsula. Again, there were many expensive homes, but there were no high rise buildings. The uncluttered skyline was beautiful. When we arrived at the state park I ran into the office to check us in, and then we drove right to our campsite to set up our tent. The campground had a mix of pine trees and palm trees. But unfortunately none of them provided any shade for our campsite in the afternoon. It was so hot that we decided to just have a quick snack instead of trying to make dinner. Then we changed into swimming suits, and drove to one of the day use areas. We could have walked to the beach that was right by our campground, but I didn't want to tote all our beach gear that far. So we drove to the day use area which really wasn't that far from our campground. We parked in a parking lot that was near the bay, then crossed a small road to reach a bridge that took us over the sand dunes. From the top of the bridge we could see for miles. This is when I knew I'd finally found paradise. 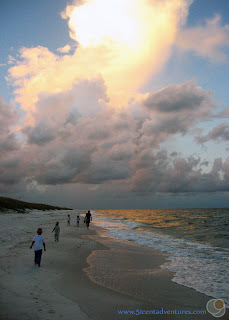 It got even better when we were on the sandy shore. At every other beach we've visited we've had to cross hundreds of feet of sand to reach the water. This beach had only about 20 feet of sand before it met the water. And there were hardly any other people on the beach. This was at about 5:00 pm on a Friday afternoon. I couldn't believe how empty the shore was. 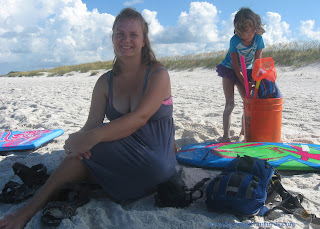 By now we were seasoned beach visitors so we set out to enjoy the beach in all the best ways. 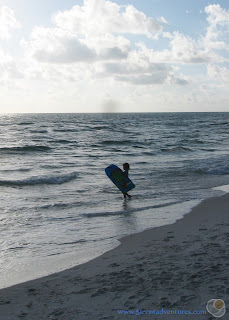 I love this picture of my daughter carrying her boogie board into the water. My husband and one of the twins went out far into the water, and ended up getting stung by a bunch of microscopic things. They came back onto the shore, and spent a while scratching their legs. I think they'd run into a bunch of jellyfish larva (sea lice). We all got a few more bites throughout the rest of our stay, but that was the worst run in we had with the sea lice. No one felt like going in the water again, and the sun was setting, so we started packing up to go back to the car and our campsite. As we were walking away the kids found something strange on the sand. I'd seen a picture of one of these before, and I knew they weren't harmful. I couldn't remember the exact name so I called them Beach Buttons. They are really called Blue Buttons and are a type of Jelly Fish that doesn't sting. Back at the campsite my husband got to do something that he's been looking forward to doing for a long time - lay in the hammock. I bought him this for Father's Day, but this was his first change to use it. In Florida it is against the law to tie anything to the pine trees, but our campsite had posts set up where we could hang the hammock. My husband was in there by himself for maybe 30 seconds before the kids took over. 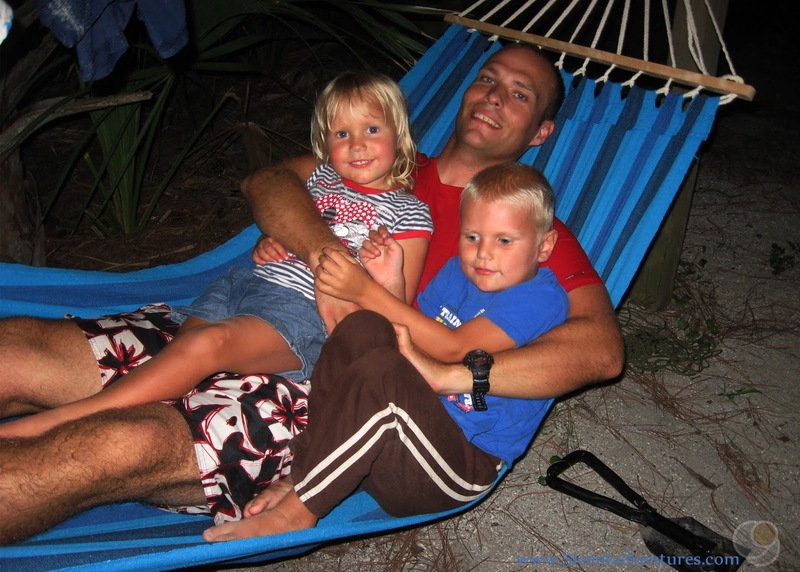 After the kids were in bed my husband and I swung in the hammock, and looked at the stars for a while. A little later - when we were sure the kids were sound asleep - we went for a walk to the beach near our campground. The stars were so bright that we could see the Milky Way. It was amazing to look at all those stars go all the way down to the horizon. I've never seen that before. 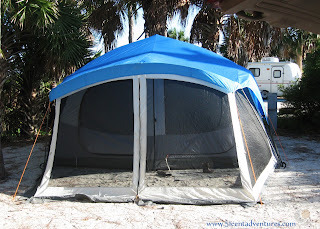 When we came back to the tent we decided to take the rain fly off the top. One reason was because it was so dang hot we figured the air would circulate better without the top. And the other reason was so we could have a chance at seeing the Delta Aquarid Meteor Shower which was supposed to peak that evening (July 29). In the morning my daughter said that she woke up in the middle of the night and saw her very first shooting star. She was happy about that, and I was happy we left the rain fly off. The kids were all awake before 6:00 am. We decided that we should all go for a walk on the beach. So we walked over to the beach that was only a few yards from our campsite. 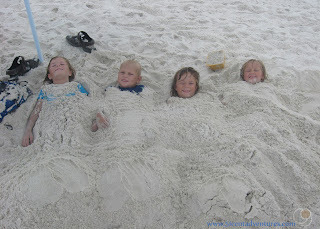 Back when we lived in Texas there were many beaches where we could have camped on the beach. 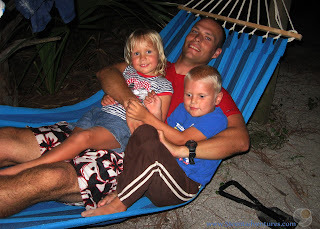 At the time my kids were so little that I worried about camping so close to the water. Now that they are older I've been trying to find a beach front campground - but apparently there aren't any in Florida or Alabama. However, this campground at St Joseph State Park was super close to the water. We were separated from the beach by only the sand dunes. During the night we'd been able to hear the waves crashing on the shore. Our morning walk along the shore was something out of a dream. The sun was rising and turning the clouds into beautiful shades of pink and orange. Those colors were reflected in the clear water. All long the beach we could see crabs scurrying sideways. They would dart down into their crab holes when we got too close. My son thought they were hilarious. We returned to our campsite and had a quick breakfast. Then we took down the tent so we wouldn't have to do it in the heat later. I wished that we were able to stay a second night at the campground, but that wasn't possible for us. We walked over to the bathhouse to change into our swimming suits. We decided that the campground beach was close enough that we wouldn't mind carrying all of our gear over there anyway. So we walked to that beach and played in the water for several hours. I only sat on the shore for a second before I got in the nice warm water - where I was promptly pinched by a crab! It pinched me right on my middle toe. I screamed with surprise. It didn't hurt so much as it scared me. I felt a little violated by the ocean after that. I wanted to sit on the beach, but I didn't want to make the kids scared of the ocean so I stayed in the water. Knowing a crab might pinch me again certainly motivated me to work on my floating skills. I wasn't putting my feet down on the bottom for anything! The sun went behind a cloud and the kids got a little cold. We solved that by burying them in the warm sand. I joked that this is how we should get them to hold still when we take family pictures. There was a storm rolling in a few miles away and the winds were reaching us. Our umbrella blew away, but my husband caught it before it got too far. We decided this was a good chance to go back to our campsite for lunch. We wanted to take a break from the beach for a little while so we went for a walk that connected our campground to another one a little to the north. 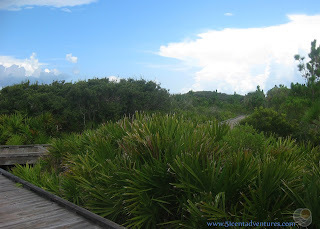 The trail took us among the dunes and near a marsh. We ended up at the beach near the other campground. We didn't have any of our beach stuff with us, but that almost made this beach more fun. For the first time ever we all went out into the water and played in the waves at the same time. (Well all of us except the youngest who refused to go very far in the water. She sat on the shore and watched us while the waves came up around her.) 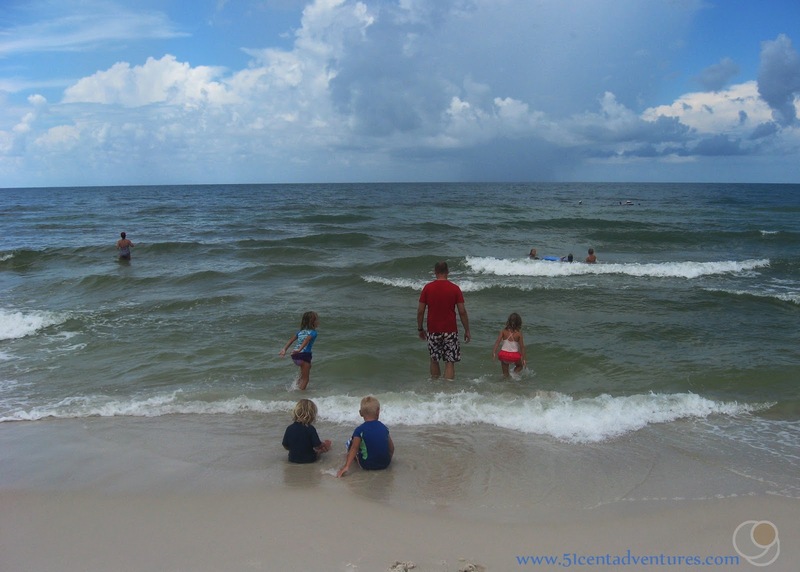 It was so fun to stand in the water, waiting for a wave with my husband and the three older kids all around me. When a wave came we'd all jump up and feel the wave move us through the water. We did that over and over and over again. We could have stayed at that beach for a long time, but we had to get back to our car and move it out of our campsite by 1:00. 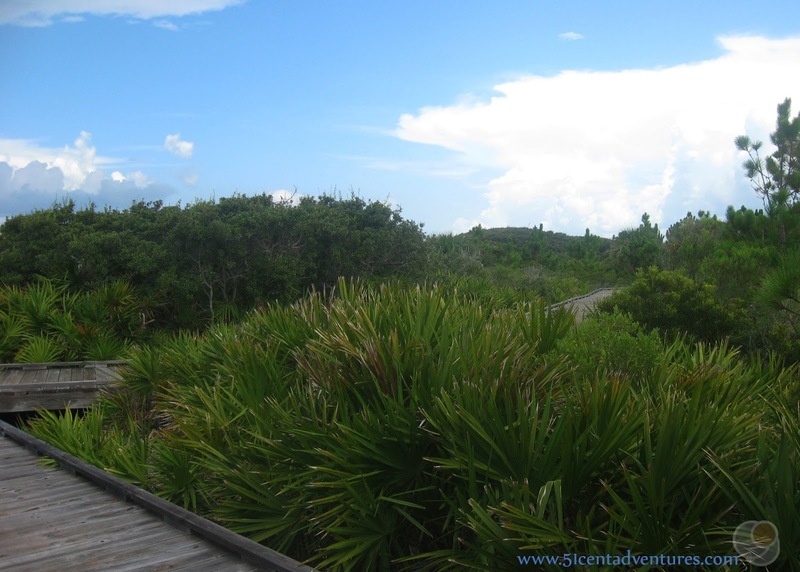 So we reluctantly left the beach and hurried back along the boardwalk to our campsite. We all got in the car and then drove back to the day use area we'd been at the evening before. I was surprised by how not-crowded the beach was. This was the middle of the day on SATURDAY, and yet there was hardly anyone there. Since we couldn't stay two nights our plan was to milk our time at the park for all it was worth. We planned to stay until the park closed at sunset. However, the kids all got increadibly tired around 3:00. So we said goodbye to the beach, and headed back to the car. We made a quick stop at the bathroom to change back to regular clothes, and then we were on our way back north to Alabama. The kids were asleep within minutes. When they woke up we stopped for dinner at a Burger King drive through, and made it home before dark. We were able to get laundry started, put things away, and give the kids baths before it was too late. Overall I wish we'd been able to stay there longer, but I was very happy with our 24 hours in paradise. Recommendation: If you are looking for the best beach in Florida it really doesn't get any better than St Joseph State Park. I highly recommend that anyone withing driving distance plan a trip to this state park. No matter how far you have to travel to reach this beach it will be worth it. 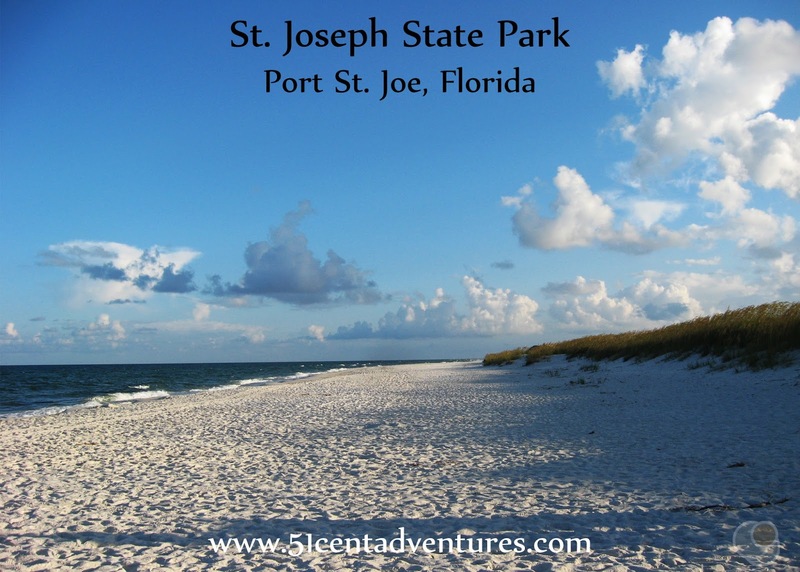 Directions: St Joseph State Park is located at the northern end of a peninsula that extends into the Gulf of Mexico. 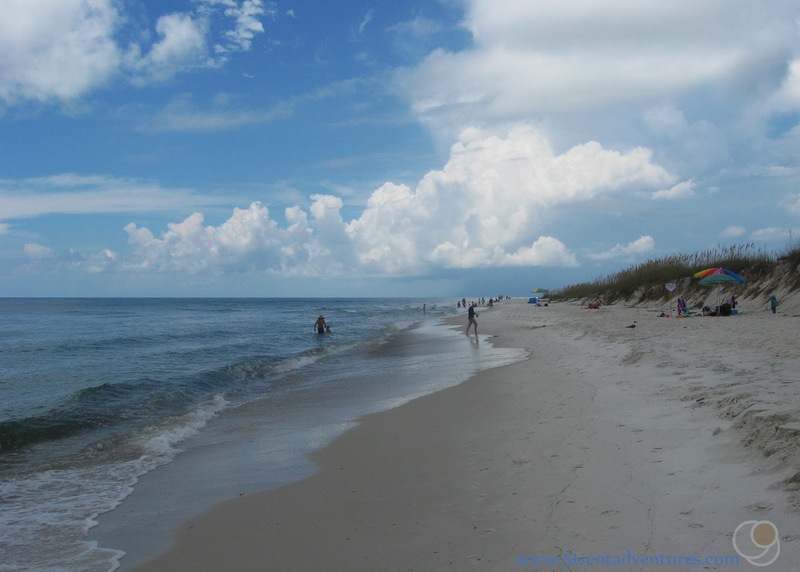 Cape San Blas Road extends along most of the peninsula and leads right to the state park. 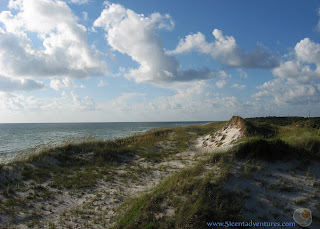 You can reach that road from Florida Highway 98 which runs along the coastline of northern Florida. 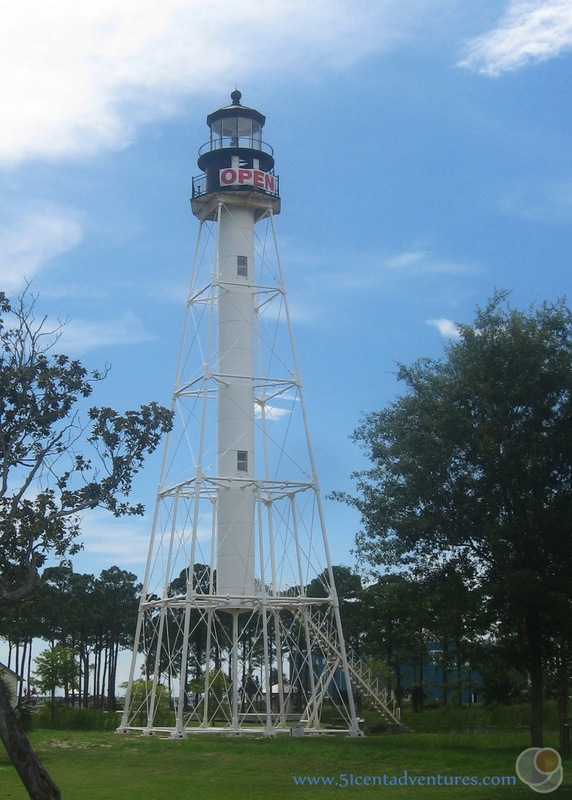 Places Nearby: Port St Joe on the mainland has a small park with a historic lighthouse. 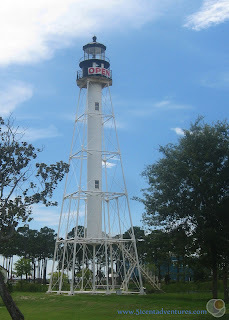 In 2014 the Cape San Blas Lighthouse, two Keepers Quarters, and an Oil House were moved from a point on the shore to George Core Park overlooking the bay. The lighthouse is open for tours Thursday through Sunday from 1:00 pm to 6:00 pm. It costs $5 to climb to the top of the lighthouse.